We’ve just finished up our first two weeks of observations and they went great! 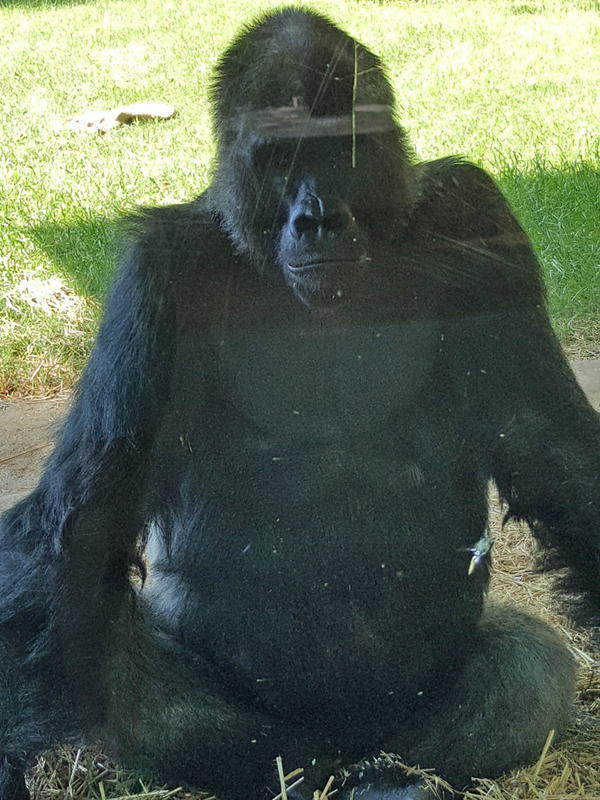 We are observing seven gorillas altogether—Mosuba, Rosie, Olympia, Jamani, Hadari, Apollo, and Bomassa. 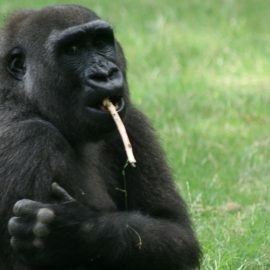 Mosuba, or “Mo,” is the silverback male and leader of the troop. 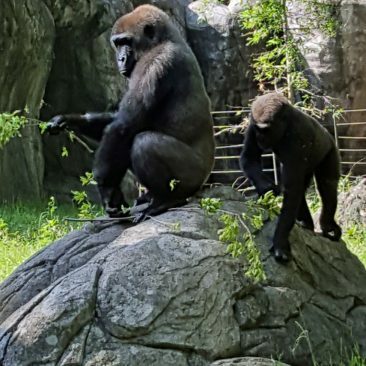 Rosie is the oldest adult female and Hadari, a young male, is her grandson. 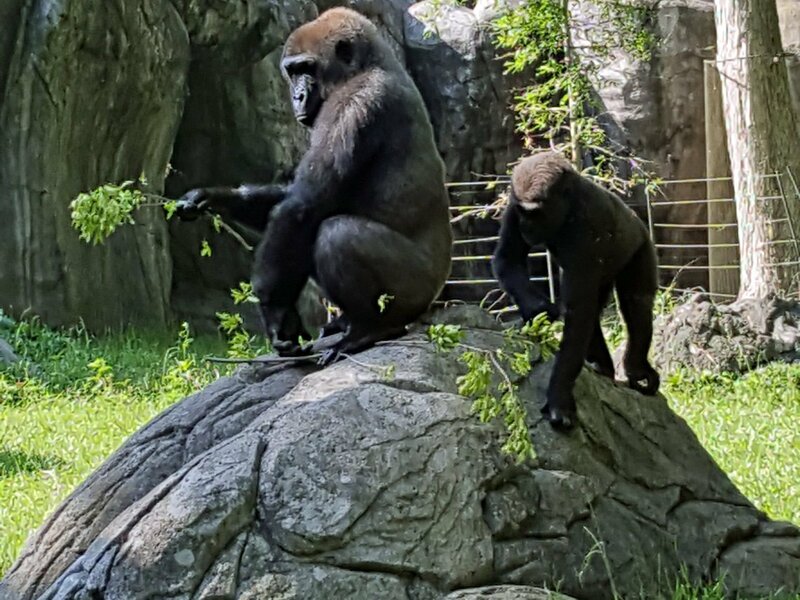 Olympia and Jamani are the other adult females. Apollo is Olympia’s son and Bomassa is Jamani’s son. Both Apollo and Bomassa will be turning four years-old in August 2016. 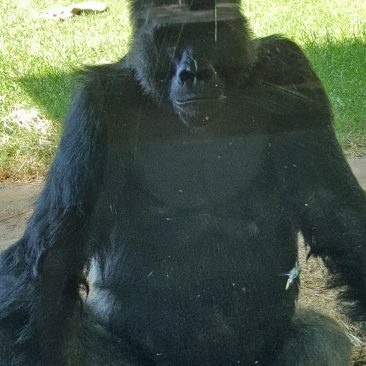 All the gorillas—especially Mosuba—have begun noticing us watching them. He stayed near us a few times to make sure his troop was safe. 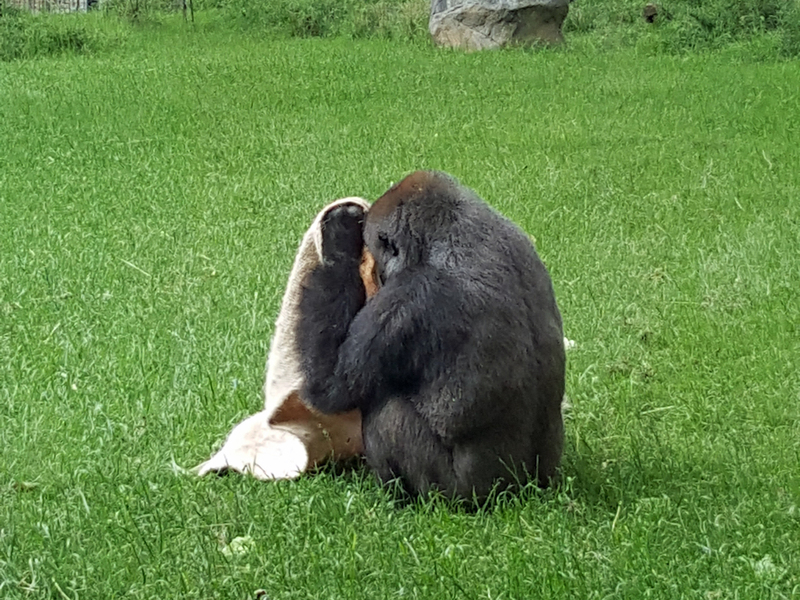 One of the items that we observed the gorillas using was a burlap sack. Mostly everyone used the burlap sack in one way or another. Apollo and Bomassa would throw it around and steal it from one another. 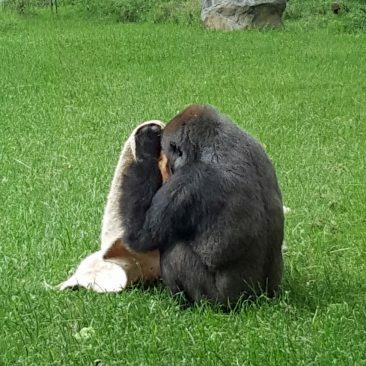 I watched Apollo steal a burlap sack off Jamani’s back, and you could tell he was very pleased with himself afterwards. It had rained all this past week and the gorillas were not fans of the rain. Once they were released in the morning, they quickly grabbed their breakfast and moved to dry spots. After they ate, it was time for a nap. Occasionally, Bomassa, Apollo, and Hadari would play together. When playtime ended, Apollo and Bomassa snuggled up to their moms. Hopefully the rain will end soon and we’ll get to see some more interesting behaviors.